Emory has the opportunity to appoint new leaders in two of its three executive vice president positions, both of which are essential to accomplishing the University’s mission. President Claire E. Sterk has charged a search advisory committee for the provost and executive vice president for academic affairs (EVPAA) and one for the executive vice president for business and administration (EVPBA). The provost search advisory committee — co-chaired by professors Carol Anderson and Carlos del Rio — will work with search consultants from Heidrick & Struggles to identify a slate of experienced candidates for Emory’s seventh provost and chief academic officer. 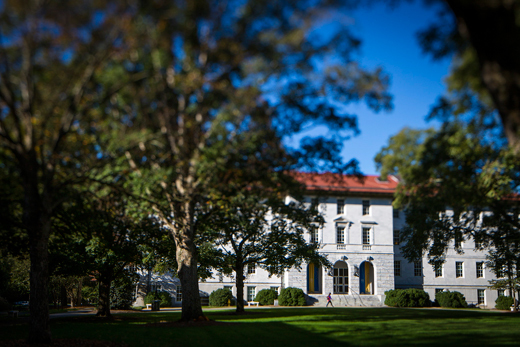 The committee will identify and interview applicants throughout the fall and early spring semesters and present three or four final candidates to the president, with the expectation that Emory’s next provost will be identified in the early spring. As the provost search evolves, the search for the dean of Emory College of Arts and Sciences will be launched with the hope that this leader will be identified before the summer of 2017. Chaired by Steve Sencer, Emory's senior vice president and general counsel, the search advisory committee for the EVPBA will work with Neumann Executive Search to identify qualified and dedicated candidates for Emory’s chief business and administrative role. The EVPBA oversees all business, financial and administrative units of the University such as Campus Services, Finance, Human Resources, Information Technology, Internal Audit and Investment Management. This committee also will present three or four candidates to the president. The timeline will be similar to that of the provost search, with the expectation that the EVPBA appointment will be announced during the spring 2017 semester.